Stop Wintu Fraud: Cal Indian Gaming Not the Savior Some Thought? Cal Indian Gaming Not the Savior Some Thought? Is California Indian Gaming really the answer to all the social and economic problems faced today by California Indians? May current civil rights violators, thru illegal tribal dis-enfranchisement, include tribes that have established gaming operations. Opposed to popular opinion and adopted law, the majority of California Indians are not actually benefitting from gaming, despite state law mandating that non-gaming California Tribes recieve revenue sharing from the tribes bennefitting from gaming. Unfortunately this has not occoured as it was supposed-to under the proposed law. Why isn't gaming revenue in the State of California being used as it was intended to assist disadvantaged tribes accross the state? Why have tribes that recieve the right to game thru tribal compact with the state, begun to violate the rights of their own members by disenrollment? Why are these tribes that violate civil rights allowed to continue to operate gaming establishments after trimming their membership rolls? When gaming was brought to California Tribes in 1990 it was meant to assist the welfare of all California Indians. A false dream to start with. And although some tribes have bennefitted in extravigant wealth from their gaming operations, the larger reverberations of actually improving the lifestyles of a majority of California Indians has not materialized, and those California Indians that do bennefit from Tribal Gaming in the state are the minority among California Indians, at a ratio of approxamately 3:1 state wide. That figure jumps to 5:1 when the non-federalized tribes of the state are factored into the equation. A group of non-federalized indians that are often left-out when it comes time to calculate for the states tribal populations. What is being done to level this inequality within Ca state tribes? Do legislators even identify a problem in this issue? If legislators use soverignty against us, as an exscuse to not get involved, and protect their gaming revenue stream to the state by inaction, where does that leave federal law to guarantees to things like equal protection, or civil rights enforcement? Recently with the national economic declines, and local state budget shortfalls many California Tribal Casino's have seen drastic declines in revenues. Less people visiting the establishments, and fewer people dropping their hard earned american dollars into these gaming operations in the name of "helping poor Indians". Perhaps it is that many have become incised to the widespread acts of disenrollment among California Tribes, violating civil rights of fellow members, to increase revenue to remaining families by removing family voting blocks from tribes, stopping disenrolled families rights to legal recourse amongst the tribe, and violating the disenrolled members rights to due process and equal protection from tribal councils and individual tribal enrollment committee members gone astray from traditional Native American norms and actually kick other members, and even family members in a deft genocidal attempt to increase a constantly deflating revenue stream. The actual act of removing members, effectively terminating the Indian members and their child descendants from inclusion or involvement or say in the direction of the tribe in the future are having their cultural connections to tribes severed by their own tribal governing bodies that are charged by their own governing documents and the Department of the Interior to uphold and protect the rights of its members is actually quite reminicent of federal policies of termination perpetuated upon indians/ tribes of this state over 70 years ago by Interior. Only this time the government didn't have to lift a finger to fracture tribes, tribes are doing quite a good job of fracturing california Indians tribes from within themselves since gaming cam along, and now over 3200 California Indians have been disenfranchised from their tribe, by their own leaders, without protections from the state of California or the Department of the Interior. As of yet two trribes have revesed actions to remove handfuls of members to increase revenue, or to reduce internal tribal friction by removing key members of opposition groups, or removing entire family voting blocks, like the 57 + members (and inumerated minor Native members) of the Foreman family that were removed from Redding's very own Redding Rancheria Tribe in 2004. 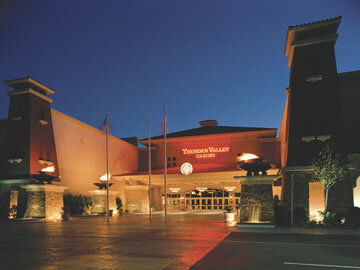 The Redding Rancheria operates Win-River Casino in south Redding, California. Has Indian Gaming in California really been the savior for California Indians that voters thought it would be back in 1990?